No need to decide out what pants or top to wear here because this set from Lanzino has got it all figured out for you. 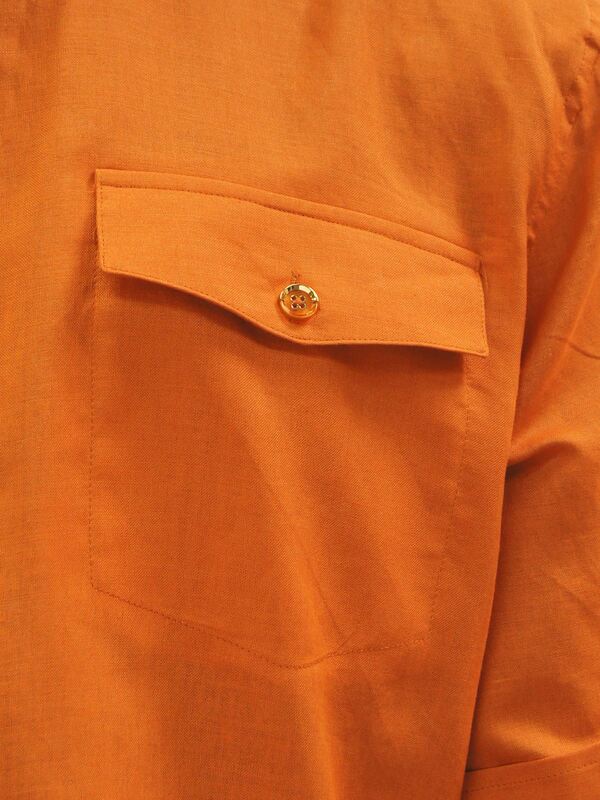 It features a retro 2 chest pocket shirt with coordinated trousers all in cool Linen. All you need to do is add shoes. Unworn merchandise may be exchanged or returned for credit within 30 days of the delivery date. When returning footwear, shoes must be placed inside of the manufacturer‘s shoebox, then into a separate shipping box or wrap it with paper. Do not write on the manufacturer‘s shoebox, tape it closed, or use it as a shipping box . Returns received without the original shoebox or taped boxes are subject to a 20% restocking fee.